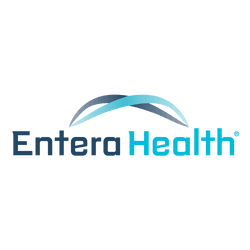 A NEW LOOK AT THE THERAPEUTIC ROLE OF MEDICAL FOODS FOR GASTROINTESTINAL DISORDERS - Entera Health, Inc. Safe medical foods may be the initial step in managing various gastrointestinal disorders before moving to drugs with known and higher side-effect profiles. In addition, because the medical foods reviewed in this article do not have major food or drug interactions, they may be considered as add-on therapies in patients with more serious gastrointestinal conditions, as they can work alongside drugs in disease management to improve patient outcomes. More research will be needed to continue to evaluate medical food potential on patient care. – EnteraGam® (serum-derived bovine immunoglobulin/protein isolate, SBI), which has been studied extensively in diarrhea-predominant irritable bowel syndrome, inflammatory bowel disease (IBD), and HIV-associated enteropathy. – VSL#3, a probiotic that is used in pouchitis for patients with ulcerative colitis as well as irritable bowel syndrome. – Modulen IBD, a whole-protein, sole-nutrition formulation used to manage the active phase of Crohn’s disease. – Vivonex is an elemental diet that is used in a variety of diseases associated with severe gastrointestinal dysfunction. Citation: 1. Ciampa B, Ramos ER, Borum M, Doman DB. The Emerging Therapeutic Role of Medical Foods for Gastrointestinal Disorders. Gastroenterology & Hepatology. 2017;13(2):104-115.